Can anybody tell me how to make it so that once I drop a file or folder into the web window, it starts to transfer? When I do this, the file or file gets into the transfer queue, but I have to click "Transfer queue" to start it. How could I make it so that it starts transferring automatically? I only saw the first option "Drag & Drop" and thought it's correct. 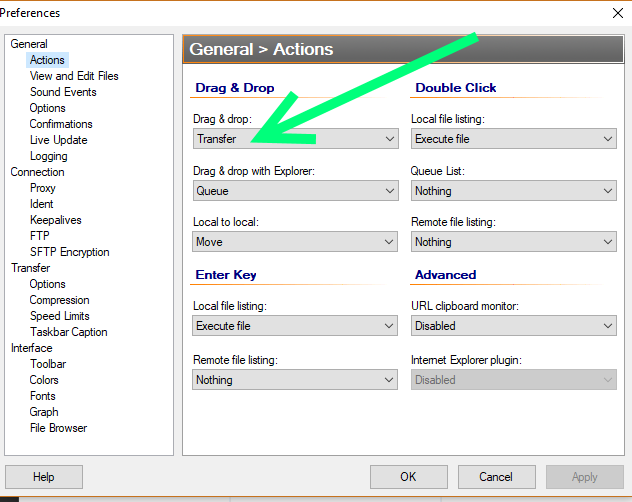 I didn't see that there's "Drag & drop with Explorer".